Welcome to Battle Bluff Estates, an already established community conveniently located in the Rossville and Fort Oglethorpe area. This home, built by one of Chattanooga's newest homebuilders, DR Horton, is the Chelsea Plan. This home offers separate dining just off entry with access to the kitchen and family room. The kitchen allows for easy entertaining with cozy breakfast area, ample counter space, and access to back patioThere is a wonderful guest bedroom with adjacent full bathroom just off family room, a great space for a home office or guest suite. The second level boasts the master bedroom with private on suite bathroom, three guest bedrooms with shared hallway bath and laundry closet. This home offers a covered front patio, open back patio and two car garage. 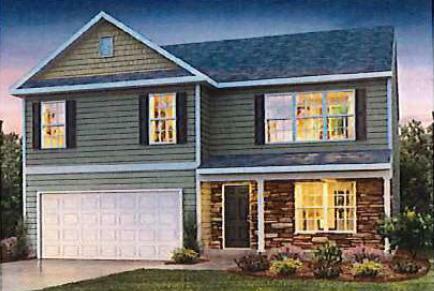 Don't miss this opportunity to own a new construction home in North Georgia.